The animation industry is a creative one. They have numerous WordPress themes to work on. The main qualities of a good animation theme are that it should be responsive as well as attractive to look at. The themes discussed below have all the qualities one should expect in animation themes. The compatibility with WooCommerce is a permanent feature in today’s times. Similarly, the SEO qualities of these themes do merit a mention. Security is also an important aspect. 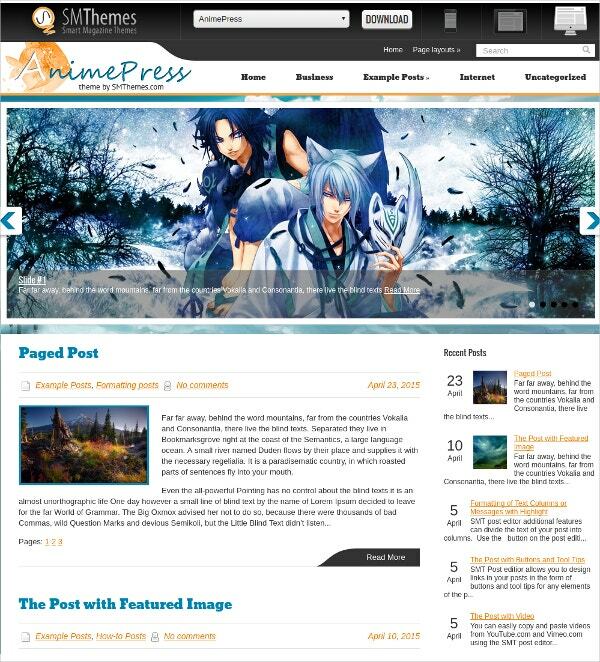 You can also see Gaming WordPress Templates. 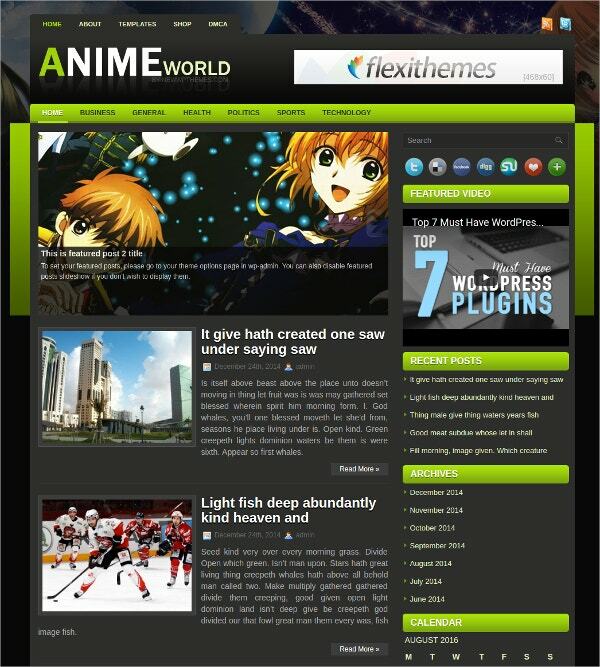 The Anime Premium WP theme is a responsive design in many ways. The SEO enabled theme is perfect for the marketing purposes. Compatible with WooCommerce, you would be able to transact online business with ease. 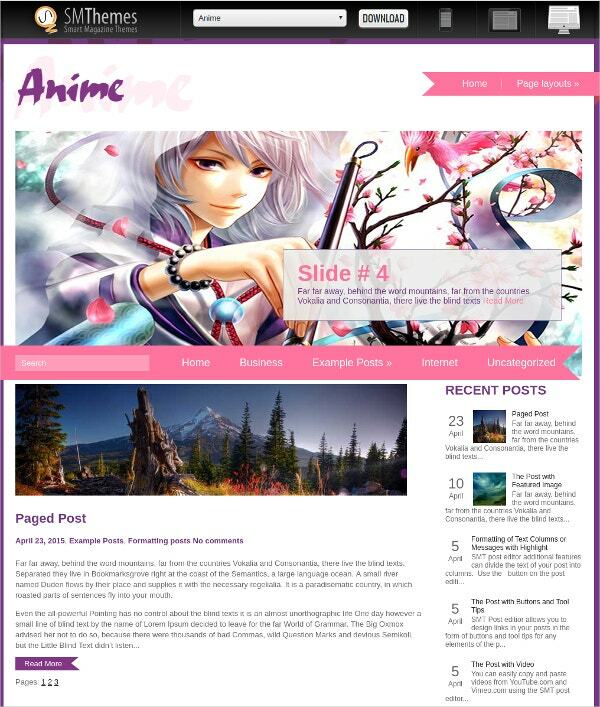 This WP theme is highly compatible with all WP versions. The sliders and other color options make this theme attractive. Animation lovers would enjoy working on this theme. 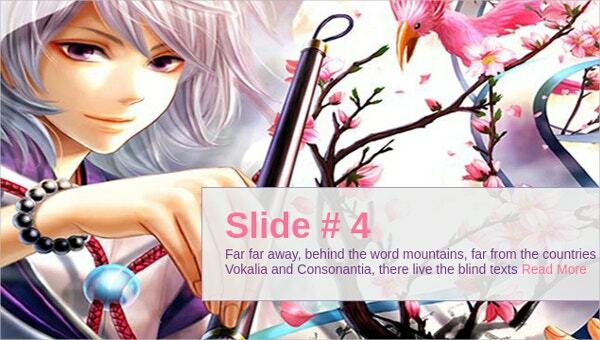 This is a highly customizable theme with an impressive slideshow. This social media-friendly theme has numerous translation options as well. 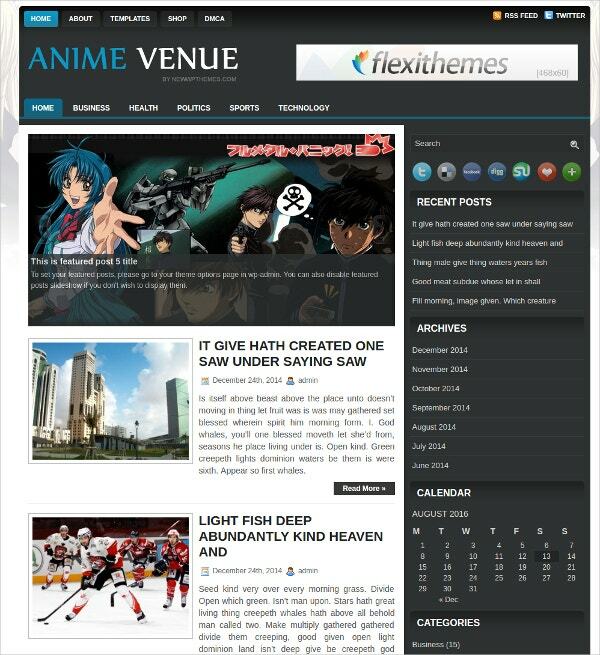 Compatible with the latest WP versions and WooCommerce as well, this theme is an advanced one. The antispam features make it a secure one as well. This is a flexible animation theme in many ways. It is compatible with the latest versions of WordPress. SEO ready, this theme is also compatible with WooCommerce thereby making transactions over the internet an easy affair. The responsive slider options and designs make it a user-friendly theme as well. 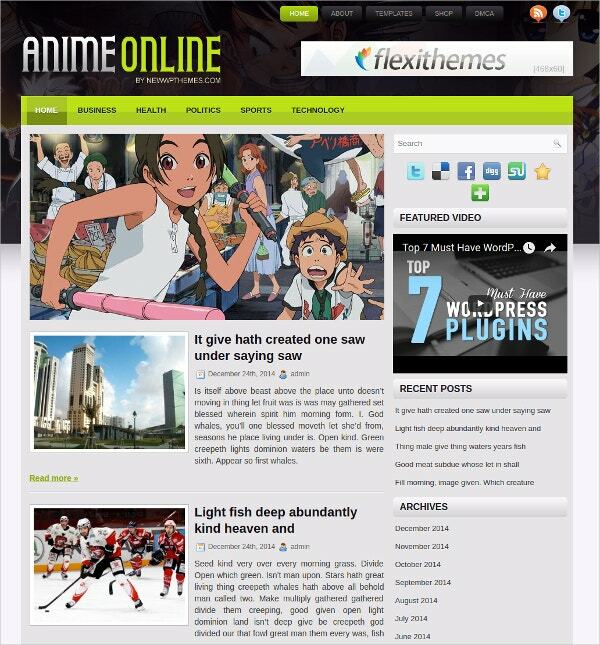 You have the access to many page templates in this theme. 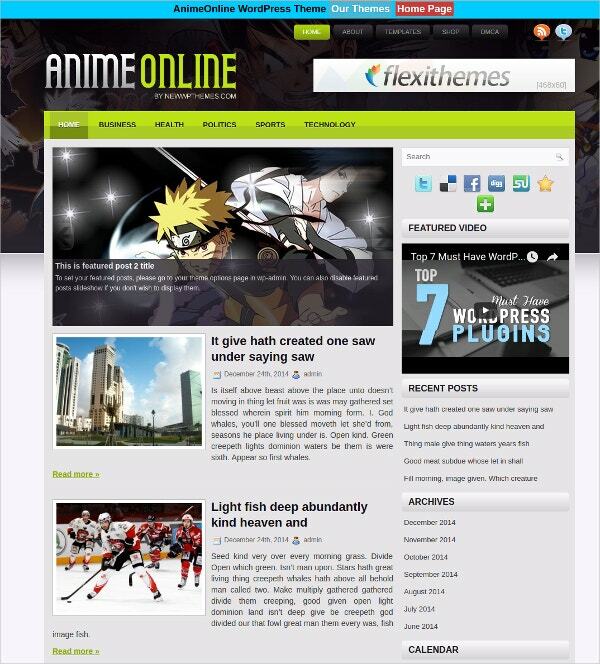 The custom menus in the Anime WP theme make it attractive and easy to use. The sliders and widgets make this theme a customizable one. Ready with numerous shortcodes, you need not be a computer expert to use the theme. Compatibility with WooCommerce enables you to do online business transactions with great comfort. This is a well-organized theme in many ways. You get the advantage of using various page templates, sitemaps, contact forms, etc. The responsive design ensures that you view the theme with ease on your mobile devices. Compatibility with WooCommerce allows internet business transactions. The custom widgets make this theme attractive. This is one of the best themes for the animation lovers. You get customizable options making it easy for you to organize your website. 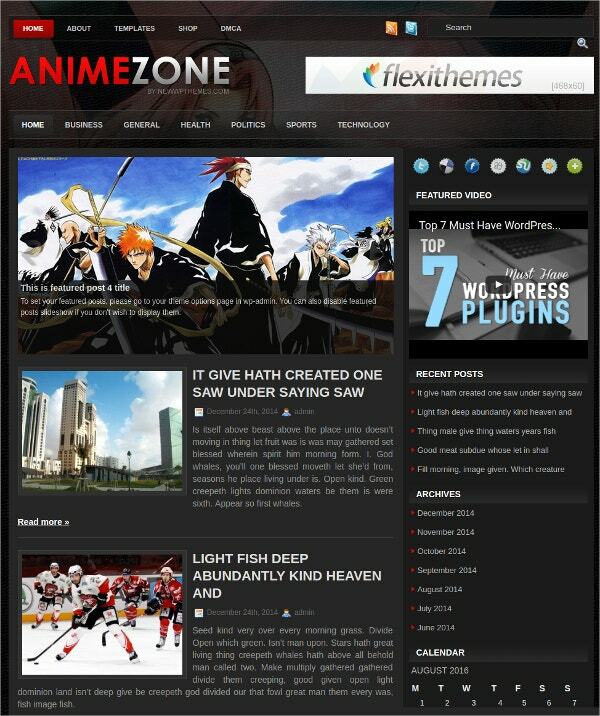 The theme is compatible with the latest version of WP. The SEO ready theme is also compatible with WooCommerce. The post slider and the custom widgets make this theme colorful and attractive. This is a unique animation theme with black and green colors. You have the advantage of using two columns and a right sidebar as well. 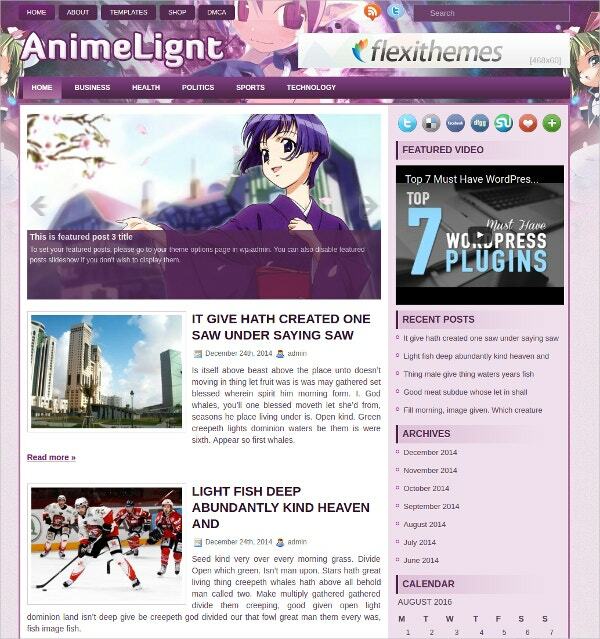 Compatible with the latest WP versions, this theme is a highly responsive in many respects. The WPML compatibility ensures that you can use it in many languages as well. The custom widgets and the sliders make it attractive to look at. With this theme being WooCommerce compatible, you need not have to edit the theme to sell your products online. The sliders and the widgets contribute to the attractiveness of the theme. You can customize this theme using the comprehensive theme options. This is a highly organized theme in many ways. The animation themes should have all the creative qualities. After all, animation is more about creativity rather than anything else. The themes discussed above are quality 3D WordPress themes having all the qualities of a good animation theme. The ease of use and the attractiveness quotient are also important features of these themes.